For sale: five bedrooms, 3.5 bathrooms, and a chilling history of murder. The online listing for 108 Ocean Avenue in Amityville, New York describes the home as a single-family Colonial with five bedrooms, 3.5 bathrooms, and a two-car garage. The property is priced at $850,000. Left out of this particular listing? The home’s old address—112 Ocean Avenue—and its horrifying past. 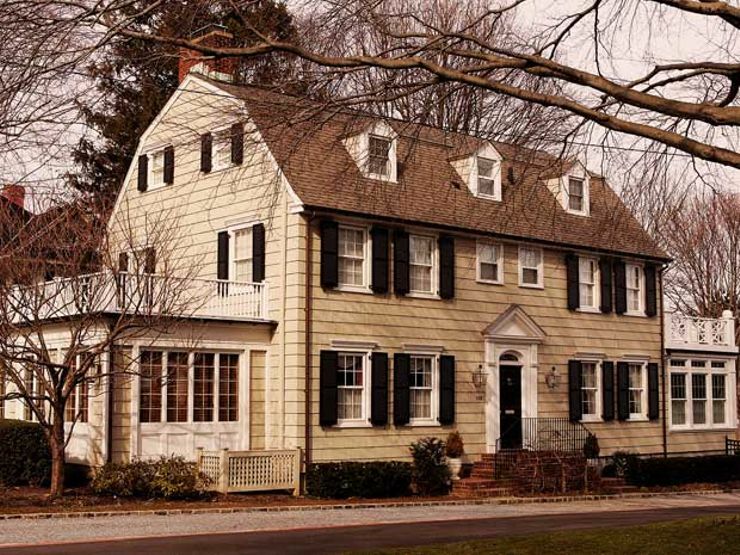 If you’re familiar with The Amityville Horror books or movies, you know the chilling tale. On the evening of November 13, 1974, Ronald “Butch” DeFeo Jr. burst into Henry’s Bar in Amityville, New York and yelled, “You got to help me! I think my mother and father are shot!” When a group of bar patrons arrived at 112 Ocean Avenue, they discovered a grisly scene. Six victims—Butch’s father Ronald DeFeo Sr. (44), his mother Louise DeFeo (42), his sisters Dawn (18) and Allison (13), and his brothers Marc (12) and John Matthew (9)—were all shot dead in their beds. Butch was a troubled young man who had a strained relationship with his father; he threatened to kill Ronald Sr. on at least two occasions, and once even pointed a gun at his father and pulled the trigger, though the firearm failed to discharge. Nevertheless, Butch aroused little suspicion when investigators first arrived on the scene. He cooperated with detectives and provided a believable account of his whereabouts during the slayings. Authorities moved Butch to a nearby police station—at the time, it was for his own protection. But serious holes soon emerged in Butch’s story. The following day, during a walkthrough of the home, one detective spotted in Butch’s room an empty box for a .35 caliber Marlin—the same firearm used in the murders. Ronald DeFeo Jr. confessed to the crime soon thereafter. “Once I started, I just couldn’t stop. It went so fast,” he told detectives. 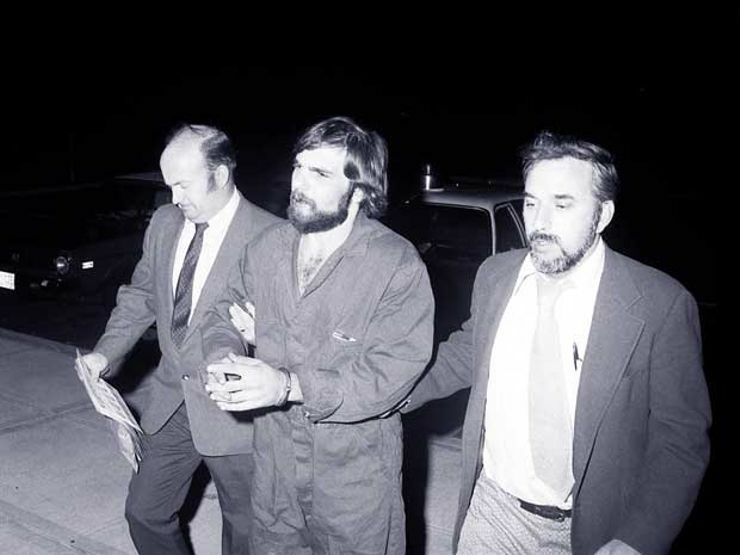 A year after the slayings, Ronald DeFeo Jr. was found guilty of six counts of second-degree murder and given six concurrent sentences of 25 years to life. 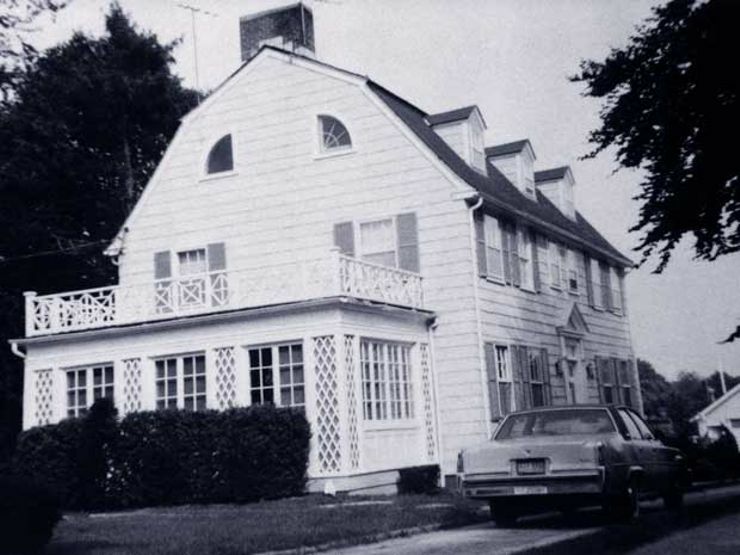 Yet the horrors of the Amityville house were far from over. Just a month after the conviction, 112 Ocean Avenue had new tenants: George and Kathy Lutz, and their three children. The family knew that the Dutch Colonial had been the scene of a multiple murder. But with a purchase price of just $80,000, the bargain was too good to resist. The Lutzes moved in on December 18, 1975. They hired a priest to bless their new home on move-in day. Soon after initiating his ritual, however, the priest claimed an invisible hand slapped him and a heavy voice demanded that he “Get out.” Then, according to George Lutz, the priest’s hands began to bleed and he became ill. Most would have run screaming from the neighborhood after such an episode, but the Lutz family stayed. They remained in the Amityville home for almost a month, enduring what was by their own account a waking nightmare of paranormal activity: doors slammed in the middle of the night, gelatinous liquid oozed from the walls, glowing red eyes peered through the windows, and cloven hoofprints spotted the snow. George Lutz claimed to see his wife levitate in bed one night. Another night, he awoke to find her transformed into an old woman. In addition, George repeatedly found himself waking up at 3:15 am—the same time police estimate that Butch DeFeo slaughtered his family. George and Kathy conducted a set of blessings in a desperate attempt to cleanse the house of its dark presence. The rituals failed to bring peace. During one such blessing, George allegedly heard a chorus of voices demanding that he stop. Twenty-eight days after moving in, the Lutz family had had enough. With food still in the fridge and clothes still in the closet, the family fled the house in terror. 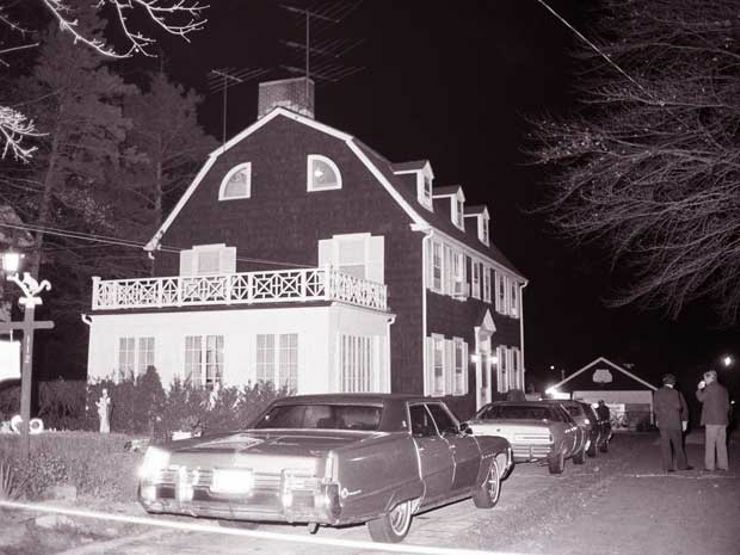 Not long after the Lutzes moved out, a group of psychic researchers moved in to 112 Ocean Avenue to conduct an overnight investigation. Among the group were paranormal investigators Ed and Lorraine Warren. While their stay didn’t include levitating bodies or bleeding hands, it wasn’t without its eeriness; the researchers reported an overwhelming feeling of “horrible depression” in the home, and a photo taken during the evening later revealed what appeared to be the face of a little boy peering out from one of the bedrooms. For Caroline D’Antonio, the home’s current owner and hopeful seller, life has been mostly quiet in Amityville. In fact, the greatest disturbance comes from the occasional tourist snapping photos of the infamous home. Don’t plan on being one of these sightseers yourself—given the home’s history, viewings are tightly controlled, restricted to serious prospective buyers only.